The Town Planning Board administers the Town's Land Use Regulations. The Planning Board meets at 7:30 pm on the 3rd Thursday of each month as needed in the Genevieve D. Staley Civic Center (735 Utica Street, DeRuyter, NY). 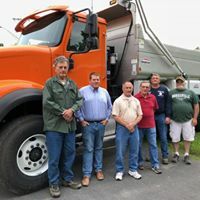 The Town Board, consisting of the Supervisor and four council members, has control over legislation, appropriations, policy and other general governmental direction. Town Board meetings are held on the second Thursday of each month at 7:30 pm in the Genevieve D. Staley Civic Center (735 Utica Street, DeRuyter, NY), unless otherwise advertised, and are open to the publc. The Supervisor presides at all Town Board Meetings. If the Supervisor is absent, the Deputy Supervisor would preside. Pursuant to the Town Board's official rules of decorum, a public comment period is offered at each Town Board meeting with comments being limited to three minutes. Contact the Town Supervisor if you wish to discuss an item with the board outside of the public comment period. Click below for the Board's Rules for Decorum. The Town Zoning Board of Appeals hears all applications for a varriance request from the Town's Land Use Regulations. The Zoning Board of Appeals meets at 7:30 pm on the 4th Thursday of each month as needed in the Genevieve D. Staley Civic Center (735 Utica Street, DeRuyter, NY). 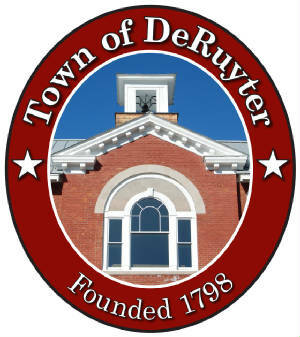 Copyright © Town of DeRuyter. All rights reserved.